The holidays are upon us, so it's time to celebrate with some special wines. 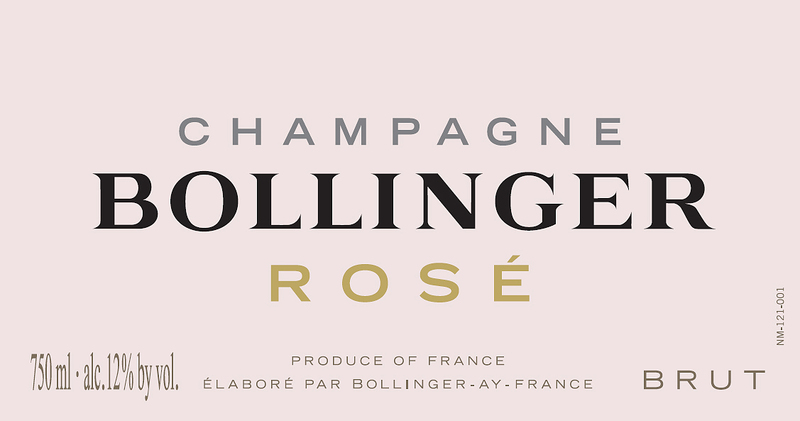 For me, Champagne is the wine for celebration and while I love just about any example, it's Rosé Champagne that is my favorite. There are a few reasons for this; certainly the color, ranging from light copper to bright strawberry, is a festive one. Then there is the richness of the Pinot Noir in the blend, generally giving the wine a fuller, more luxurious feel in the mouth. To kick off the holidays in style, I tasted out three first-rate Rosé Champagnes with two friends the other night at a Thai restaurant on the north side of Chicago. There are dozens of Thai eateries in Chicago that are BYOB, so the chance to taste some great wines with some beautiful food seemed to be a natural. The restaurant I selected was Siam Country, a typical small dining room with a wide array of selections. This has become comfort food for me over the years and given all the flavors in these dishes, I thought it would be fun - as well as educational - to pair Rosé Champagnes with this cuisine. So I'm dividing this post into two parts: first, my notes on the wines. Second, notes on how the wines paired with various foodstuffs. Tomkar is a classic Thai soup made with coconut milk, lemon grass and ginger (among other ingredients). We selected chicken for our soup. 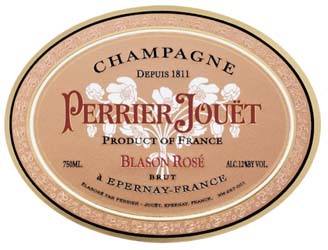 This was a perfect match with the Perrier-Jouet, as that wine has lower acidity than the others. Thus the round finish of that wine meshed beautifully with the creaminess of the soup. The spring rolls, served with a mild plum sauce were best with the Perrier-Jouet, while the pot stickers were a marvelous match with the Gosset, as the earthiness and high acidity of this wine (Gosset Champagnes do not undergo malo-lactic fermentation and thus have a more vibrant acidic note in the finish) picked up on the richness of this appetizer. I had enjoyed the duck breast on previous visits to Siam Country, but it was never as beautifully prepared as it was this evening (in fact, my colleagues commented on how this was the best meal we had experienced here). I always pair duck with Pinot Noir, so why not a Rosé Champagne with duck? It worked beautifully, as this was a rich duck preparation with a crispy skin that paired superbly with the Bollinger - this was a perfect match. It also tasted out great with the other two wines as well. As for the curry dishes, my friend Bob preferred the Bollinger with the red curry, though he also liked the softer Perrier Jouet as well, while he favored the Gosset with the green curry entrée. I had never brought Rosé Champagne to a Thai restaurant before, but I was confident this evening would be a success. It was, thanks to the lovely richness and balance of these Champagnes, which were complex and flavorful enough to stand up the the spiciness of these dishes. 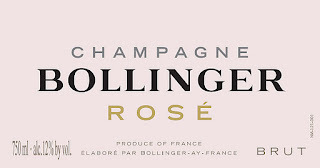 I hope many of you will think about Rosé Champagne with Thai food or perhaps with many other cuisines as well. Experiment and have fun this holiday season! P.S. My friends and I prefer light to mild spicy Thai food, so these wines were ideal. 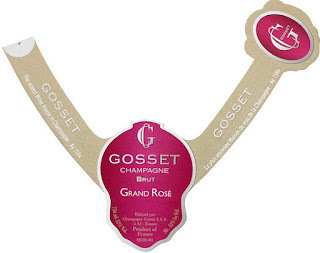 If you opt for a spicier preparation, you would definitely want a Rosé Champagne with a high level of acidity such as the Gosset. As with all wine and food pairings, it's about marrying similar flavors and textures. I've just returned from my 50th trip to Italy and enjoyed every day as usual. This time my visits took my to Toscana for an event for Chianti Rufina as well as Valpolicella for one special tasting as well as visits at several other producers. 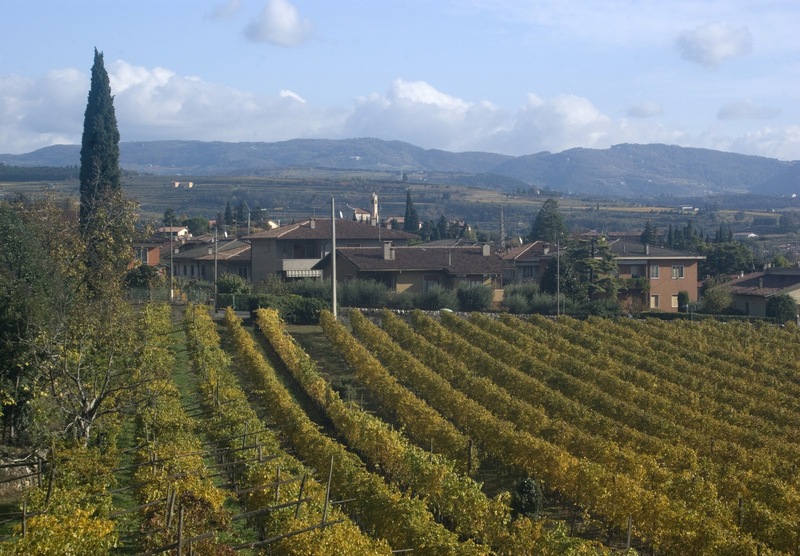 Instead of the usual wine recommendations or essays about Italian wine, this post will feature a few of my photos of Valpolicella. 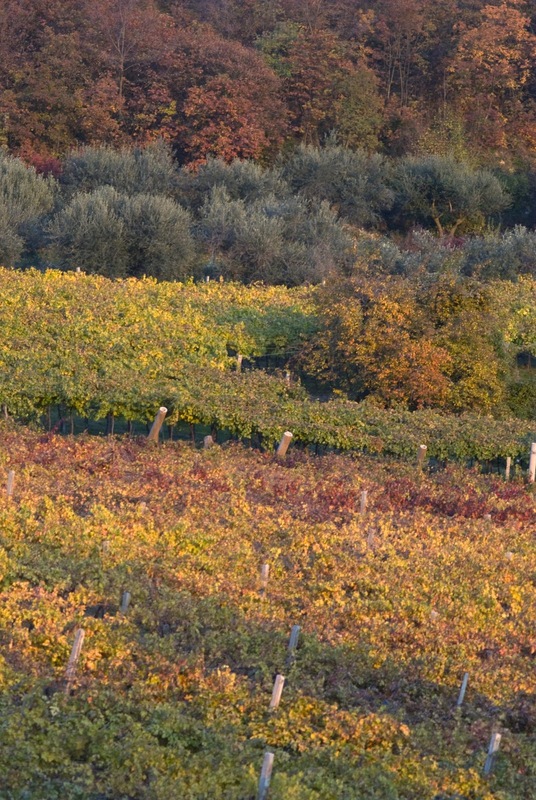 For two to three weeks in late October and early to mid-November, the vineyards and forests of Valpolicella are transformed into a sensational pallette of yellows, russets, browns and orange-tinted hues that simply capture your soul. 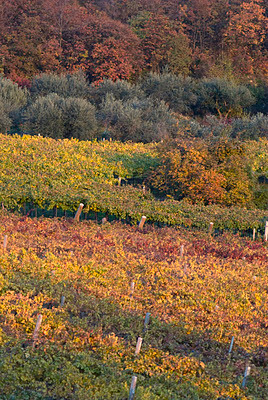 While the visuals are spectacular everywhere, the colors in the eastern reaches of the Valpolicella zone (non-classico) may be the best. 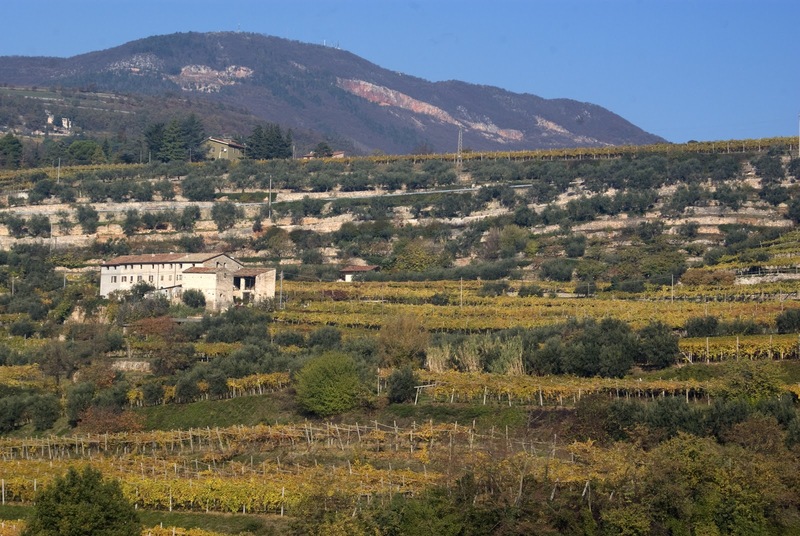 At Massimago, proprietor Camilla Rossi Chauvenet calls this area, "the wild Valpolicella," and after seeing the vineyards and olive tree groves at this spectacular estate, you'll most assuredly agree with her. This time of year in Valpolicella, grapes are being dried according to the appassimento method for the production of Amarone and Recioto della Valpolicella. 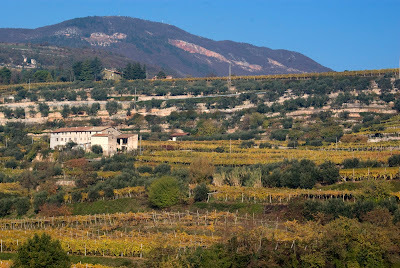 I was able to see this technique first-hand, but I came away more impressed by the natural beauty of Valpolicella at this time of the year. This was another way for me to discover la bella Italia - it was unforgettable! While I drink a lot of white wine, I'll admit to not enjoying as many Chardonnays as I should. 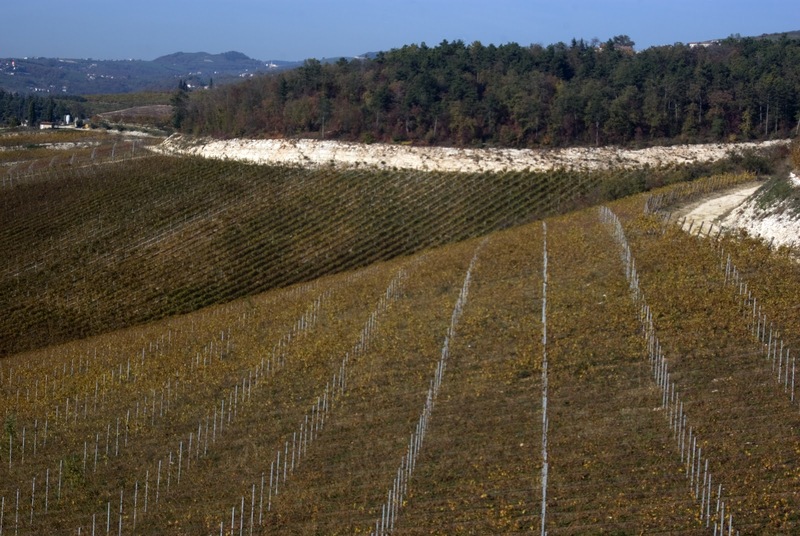 Perhaps I've had so many examples, that I just naturally look for other types, especially the brilliant whites from Friuli and Alto Adige in Italy or Sauvignon Blanc from just about anywhere. Another reason is I never seem to find that many Chardonnays I like; either they're just too simple or they're over the top, with lots of hazelnut, almond and vanilla notes with dominant oak flavors. Well the other night, I enjoyed a lovely Chardonnay that was a pleasant change from the types I've panned over recent years. The wine was the 2009 Clos du Val from their vineyards in Carneros in Napa Valley. Founded in 1972, Clos du Val is best known for its red wines - especially Cabernet Sauvignon - as it is located in the prime Stags Leap District. But for some time, the winery has been producing a Chardonnay from hillside estate vineyards in Carneros. This AVA (American Viticultural Appellation) is situated at the southern reaches of Napa (it also extends into Sonoma County), just north of the San Pablo Bay. Cool breezes from the bay combined with early morning fog makes this zone ideal for a cool climate variety such as Chardonnay (as well as Pinot Noir) and generally the grapes receive a lot of hang time, assuring ideal ripeness, very good natural acidity and impressive structure. When everything comes together, as it did with the beautiful 2009 growing season, Chardonnays from Carneros combine a nice richness on the palate with a lengthy finish as well as wonderful balance. 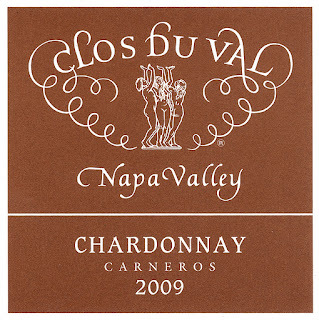 This 2009 Clos du Val Chardonnay has all of that; it's a flavorful wine with excellent complexity. So it's not the simple, light white wine that too often bores, nor is it a lush, over-oaked offering that still pops up now and then in California as well as several other regions and countries around the world. Brilliant light yellow with pleasing aromas of Anjou pear, fresh apple, cinnamon and vanilla. Medium-full with very good concentration. Very good persistence, finely tuned acidity and well-integrated oak. Harmonious finish with a touch of honey and apple pie notes. Elegantly styled wine, lovely with food and an excellent value at $25. I mentioned this is a lovely food wine; I enjoyed this with tilapia and it was a perfect match. It will also pair beautifully with sea bass as well as many other fish; I think it would also be great with lighter poultry dishes or even a simple chilled chicken salad. It's also worth noting the $25 price tag that I believe represents a striking bargain. There are just too many overpriced Chardonnays in California - it's that simple. So when I come across a Chardonnay this good for this price tag, I have to note that it's an excellent value- and we certainly need more of these! One final note- if you're someone stuck on points when it comes to selecting wines or you need a designer name on the label, you'll need to look elsewhere. You'll also have to pay another $15-20 a bottle for one of those 95-point, heavily oaked Chardonnays that overpower almost any food with their big alcohol and dominating wood and spice notes. A few wine publications tend to favor wines such as these, but to me, that style of Chardonnay is an exercise in seeing how far a winemaker can push all the components in the wine. They may impress upon the initial smell and taste, but they are tiring, bloated wines. As I said, you're welcome to those wines. 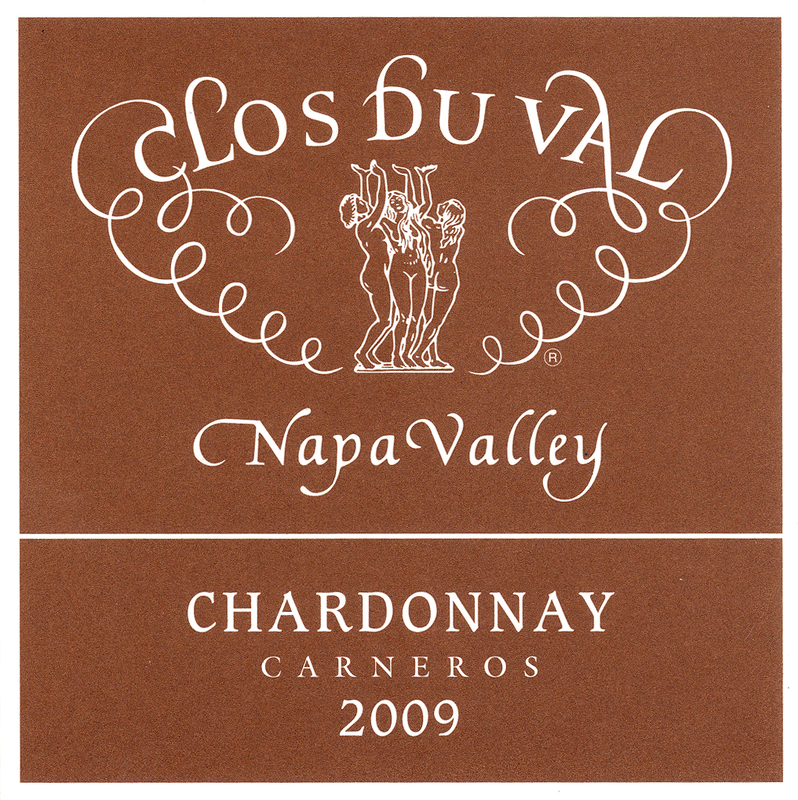 For me, I'll take the 2009 Clos du Val Carneros Chardonnay- that's becuase it's got everything I'm looking for in a wine such as this and it's beautifully priced!